Q. Where do I find the dimensions of a digital photo on my computer? Amazon’s photofinishing service says the pictures need a resolution of “450 by 630” for a five-by-seven-inch print. A. Even if you do not have a photo-editing program that displays the picture’s resolution and other information, you can quickly see the width and height (measured in pixels) of a selected photo with the computer’s operating system. On a Windows PC, for example, hovering the mouse over an image thumbnail should display the photo’s dimensions in the pop-up Info Tip box. On a Mac, the information is displayed under a preview of the picture when you click on the file in the Finder’s “column view,” which you can select from the View menu in the Finder. On a Windows PC, an image file’s pixel dimensions can be found by hovering the cursor over the thumbnail image to see the Info Tip box, top left, or by looking at the Details tab of the file’s Properties box, bottom left. Mac users can look in the file’s Info box, right, among other methods. 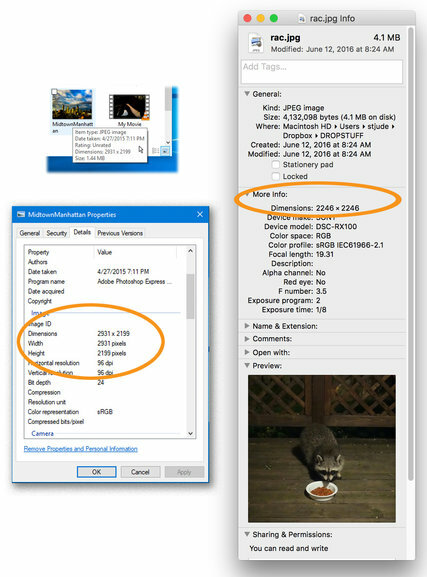 The photo’s pixel dimensions and other embedded data — like the file format and size, exposure setting, and type of camera used to take it — can be seen in the picture’s Properties or Info box. On a PC, right-click on the file, select Properties from the menu and click on the Details tab in the Properties box. On a Mac, right-click (or hold down the Control key and click) the image thumbnail and choose Get Info. Photo-processing sites list minimum pixel dimensions and other requirements for the pictures you upload so that the finished prints are as sharp and clear as possible. Digital images that are too small will look blurry and jagged on paper, so be sure your files meet the site’s guidelines. If possible, it is best to use photos that have been imported from the camera, as pictures that were emailed or downloaded from sharing sites may have been converted to a lower resolution to reduce the file size. 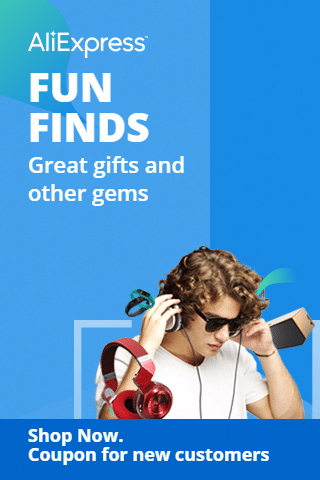 Amazon’s Photo Quality Tips page has a list of optimal photo resolutions based on the print size or project you want to produce from your digital images, as does Shutterfly and other photo-printing sites. For further reading on the topic, the online Adobe Photoshop User Guide has a detailed explanation of pixel dimensions and printed image resolution, and the Digital Photography School site has a tutorial of its own.